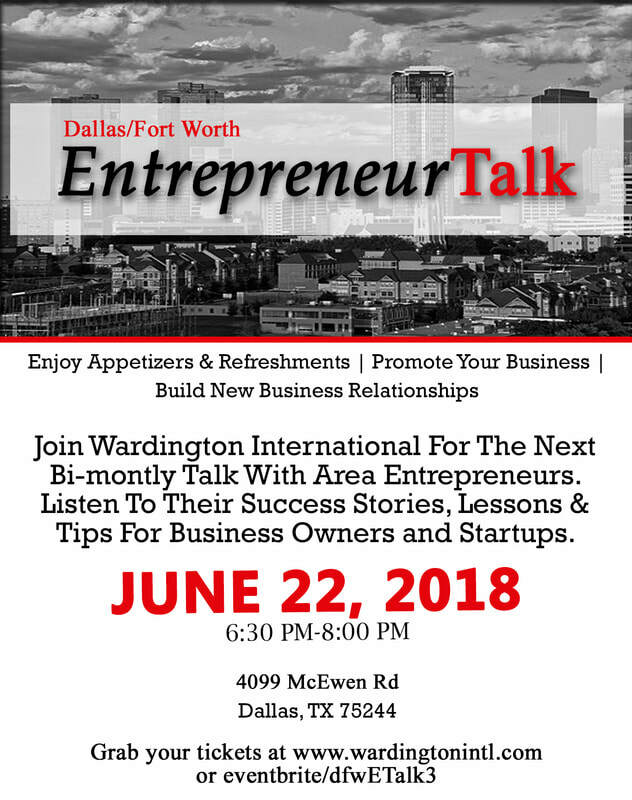 LEARN...CONNECT...GROW at the Dallas/Fort Worth - Entrepreneur Talk! The Dallas/Fort Worth - Entrepreneur Talk brings local entrepreneurs together in one place where they can share their entrepreneur journey. The Dallas metroplex is filled with a lot of awesome entrepreneurs who have powerful and inspiring stories to share. There's no other place like the Dallas/Fort Worth - Entrepreneur Talk where seasoned entrepreneurs throughout the DFW metroplex are given a platform to authentically share their journey. Come join us! ​Click here to purchase tickets! If you'd like to receive updates about our upcoming events and latest news, subscribe here.